Survey will be closed on the 2nd of April 2014, 12:00 GMT. Winners will be announced later during the day. EvoluteTools D.LOFT just released ! EvoluteTools D.LOFT just released ! The introduction video on the functionality of our new and affordable Rhino is available below. EvoluteTools D.LOFT enables users to create developable surfaces between arbitrary 3d curves with a push of a button, hassle free. We take this opportunity to thank Jessesn from McNeel Asia for helping out with the translation and uploading. The Dodekaederstern is on display in Vienna ! Evolute completed the surface reconstruction from coarse mesh to smooth NURBS. 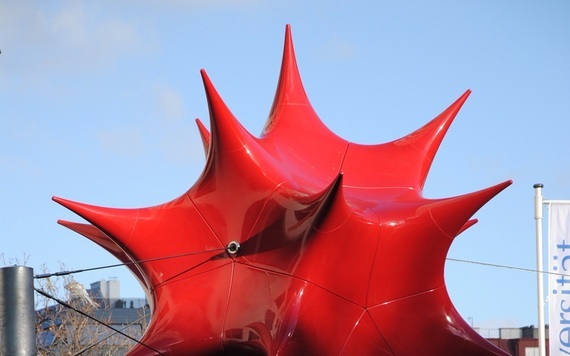 The resulting NURBS surface was later used for machining the moulds of the sculpture. Evolute brings push button Cylinder Fitting functionality with EvoluteTools PRO. Dealing with complex shapes that have to be materialized in glass, steel sheet or other challenging materials ? Look no further, our surface rationalization and panel fitting software is the easiest and fastest. Is your 3D scanned data all fluffy and noisy ? Having a hard time filling gaps and doing surface reconstruction ? EvoluteTools PRO turns Point Clouds into NURBS Surfaces with a high degree of control and precision. Whether you are dealing with point clouds or individual point collections inside Rhino, in just a few steps you can turn that scanned data into a mesh or a NURBS surface. Furthermore surface registration functionality is also available from Evolute, turning architectural detailed (mouldings, profiles, window sills etc) scanned data quickly into neat and clean surfaces. Just follow the clip below for a quick introduction to surface reconstruction with EvoluteTools PRO. We are extremely excited to announce that KREOD won the Structural Award ! We would like to thank and congratulate everyone involved in this amazing project! 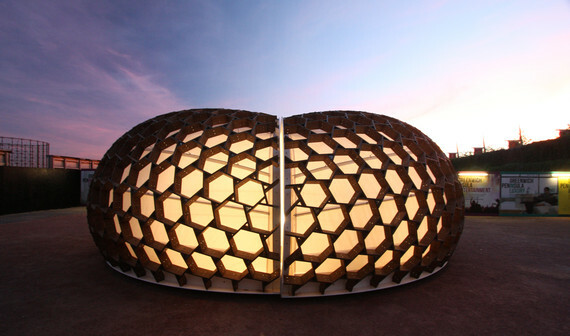 KREOD is an innovative temporary exhibition pavilion, organic in form, environmentally friendly and inspired by nature. As part of the design team, Evolute rationalized KREOD’s complex reference geometry, designed the panel layout, provided parametric detailing of the wooden members, and production geometry for fabrication. 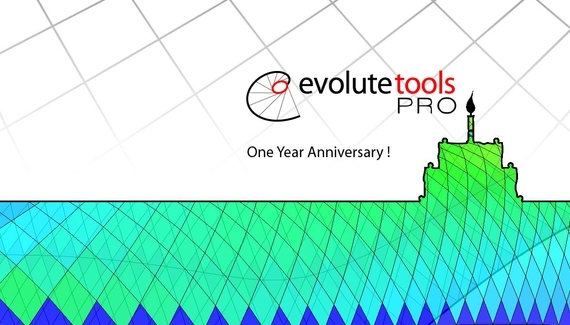 EvoluteTools PRO 2.0 was released at the end of January 2012. Over the past year we added more functionality and increased the stability of the software, it continues to grow with your help. We wish to thank everyone for the provided feedback and hope you will enjoy the Anniversary Offers. Besides the 20% discount for new customers, the newly purchased licenses can be used on TWO machines at the same time. Offer expires on the 1st of March. Contact us for the subscription discount instructions. Don’t miss out !